Three vacant spaces in downtown Pomona were being prepped Friday for filming for an ABC pilot, “White Sheep.” Roving photographer Ren sent me these images. 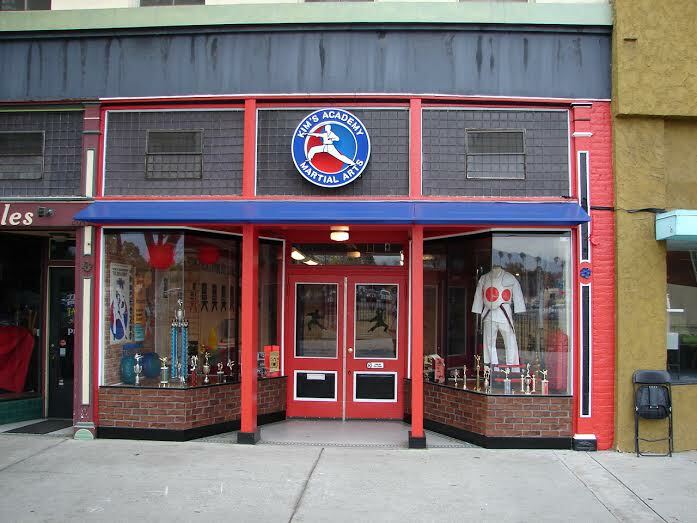 Above, the former Bunny Gunner storefront at 266 W. 2nd St. was transformed into Kim’s Academy Martial Arts. Below, a former Mexican restaurant (and prior to that, Chung King) at 280 W. 3rd St. was being turned into Land Lock Lobster. Crews were just getting started on a third storefront at 2nd and Parcels streets. It’s impressive the amount of effort that can go into Hollywood productions. Thanks, Ren. 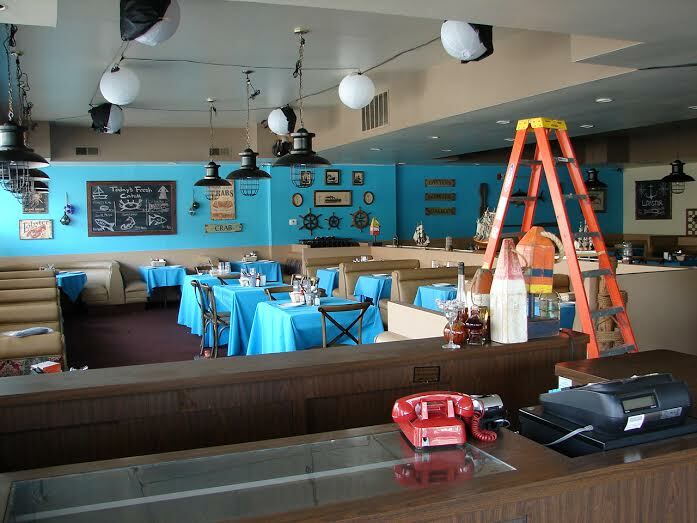 This entry was posted in Inland Valley on TV and tagged filming, Pomona by David Allen. Bookmark the permalink. Yes, Saturday night in downtown Pomona was crazy. Not only was White Sheep filming in 3 locations. The DA center opened a new art exhibit, the School of Arts and Enterprises was putting on Seussical the Musical Jr., and the Downtown Art Walk was in full swing. Nice to see Pomona doing so much better. Now can we get a movie theater? Please?